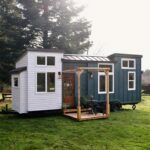 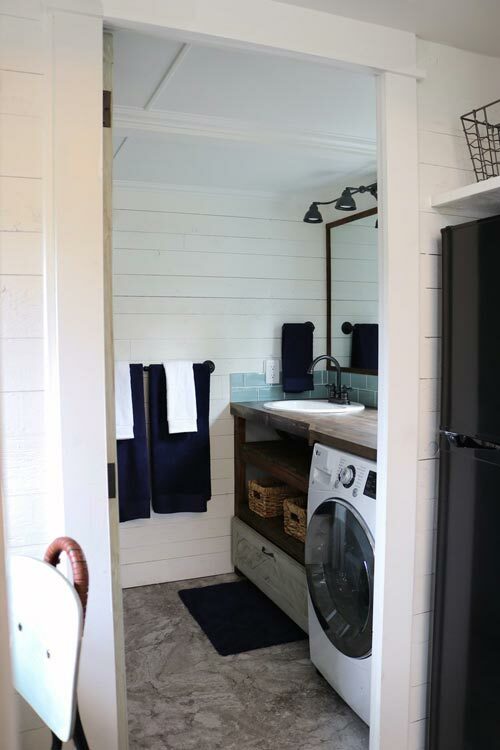 With its board and batten siding and Pacific red cedar accents, the Tiny Getaway by Handcrafted Movement is as beautiful as its surroundings of the Pacific Northwest. 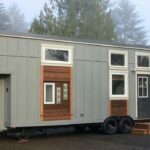 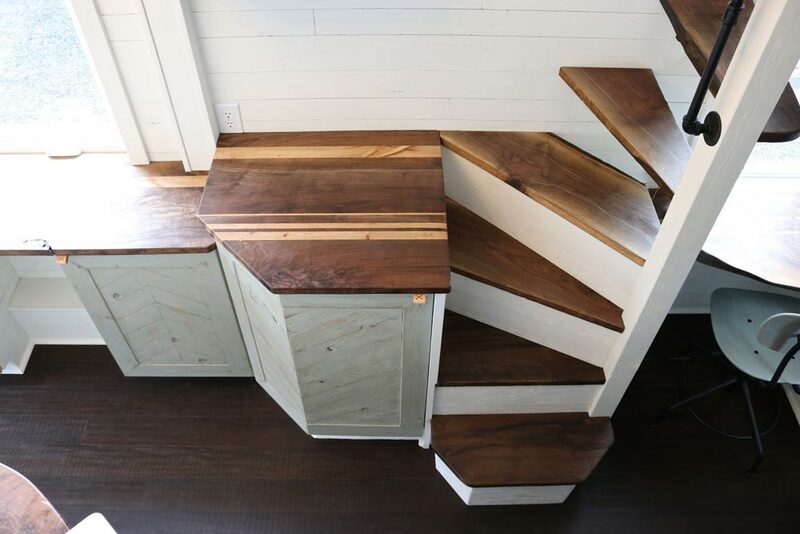 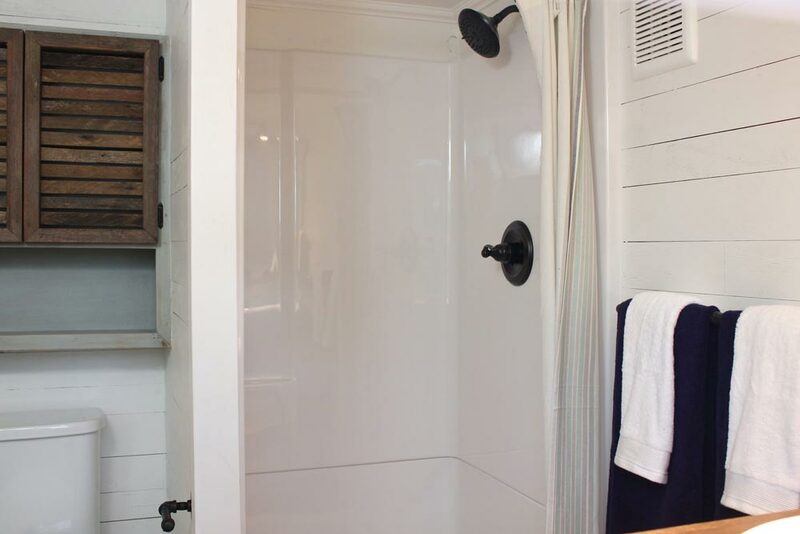 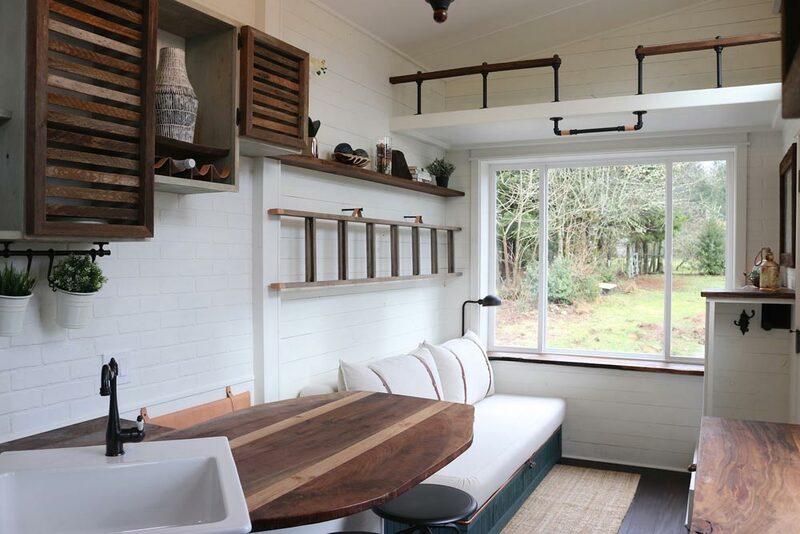 Inside the 26-foot tiny house you’ll find reclaimed Oregon walnut and solid bamboo flooring throughout. 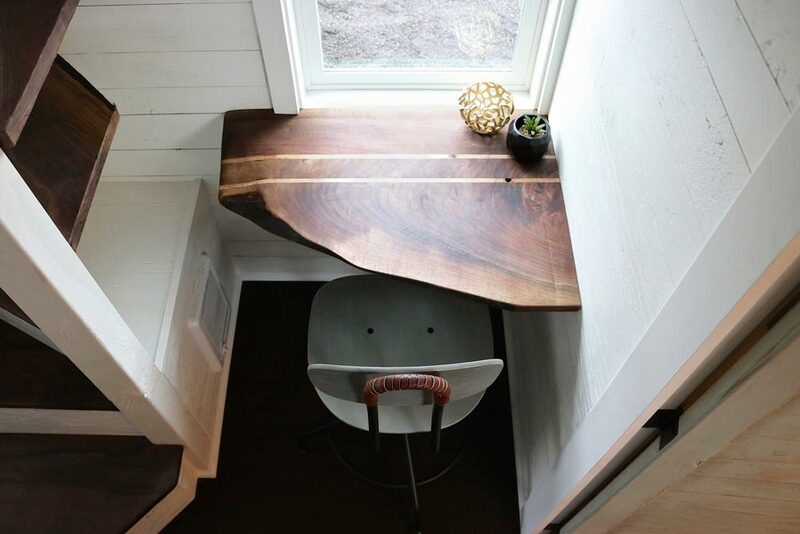 A built-in walnut desk with chair sits in front of a large window, providing a wonderful place to work. 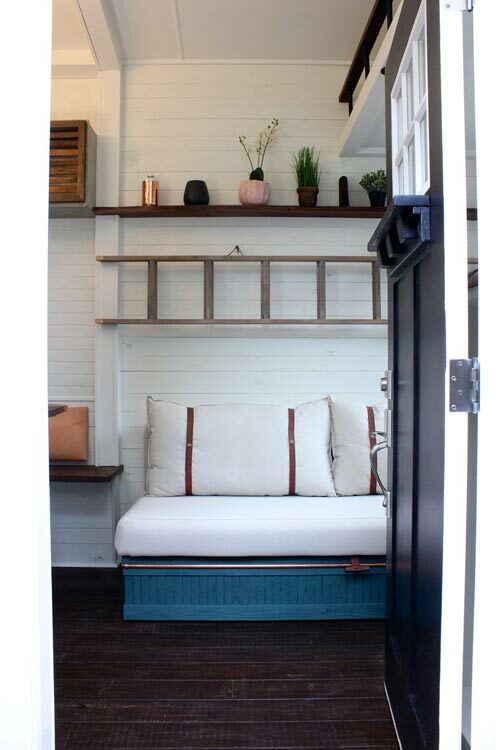 The house also includes a built-in storage closet and dining area with leather cushion seat. 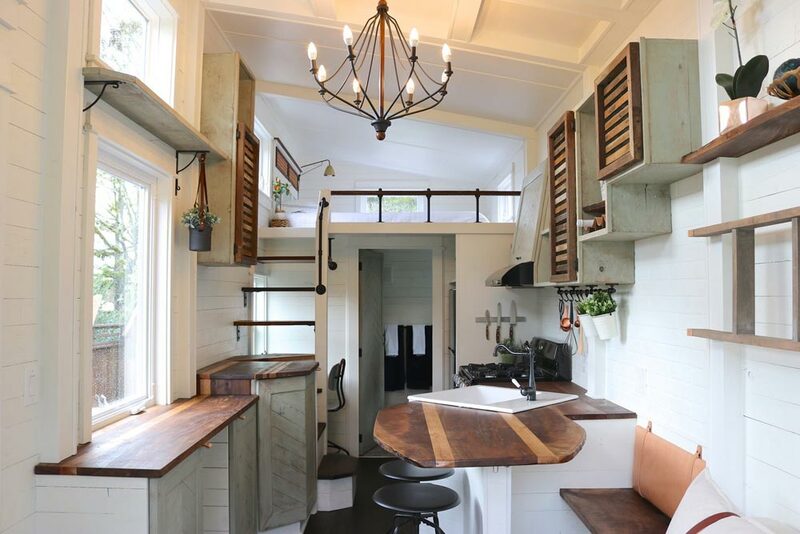 The kitchen features reclaimed walnut and oak countertops, a full size (30″) four burner gas range, and a 27″ farmhouse style sink. 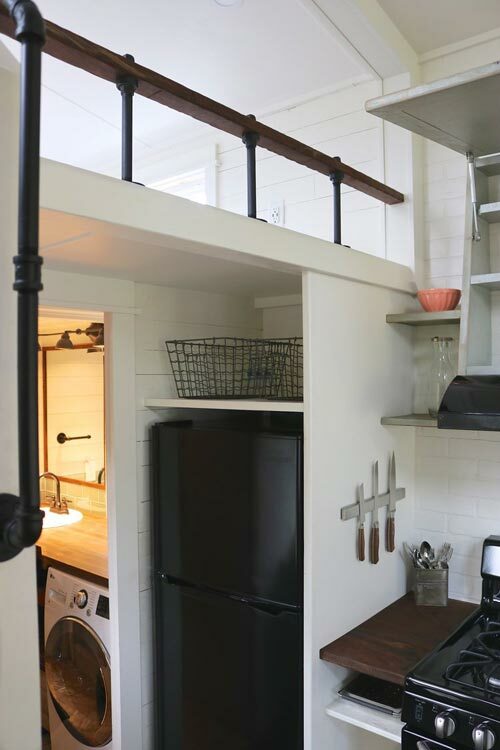 An apartment size refrigerator is also included. 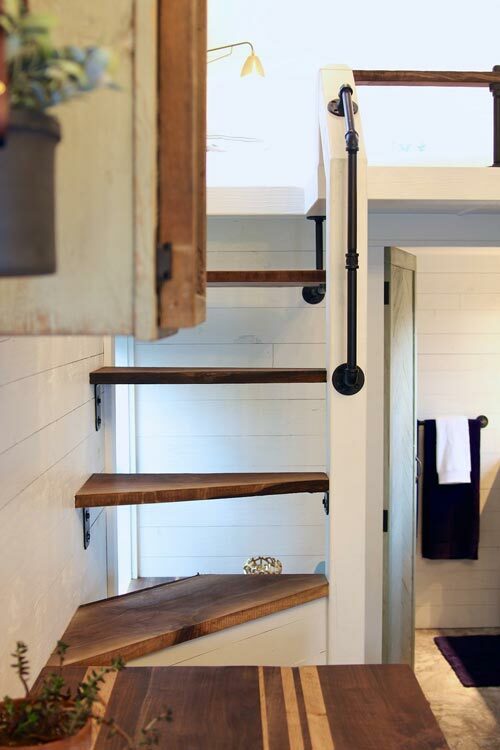 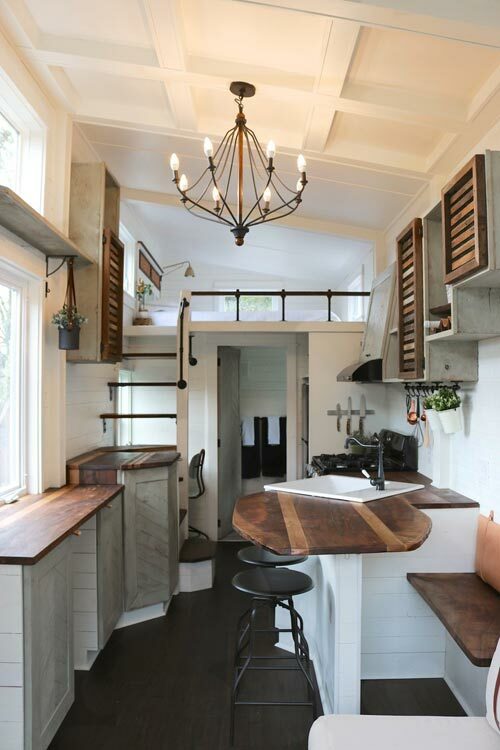 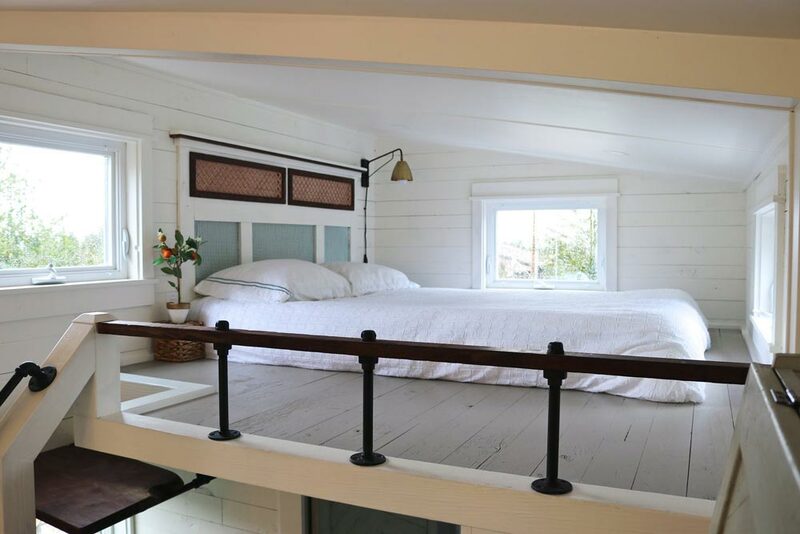 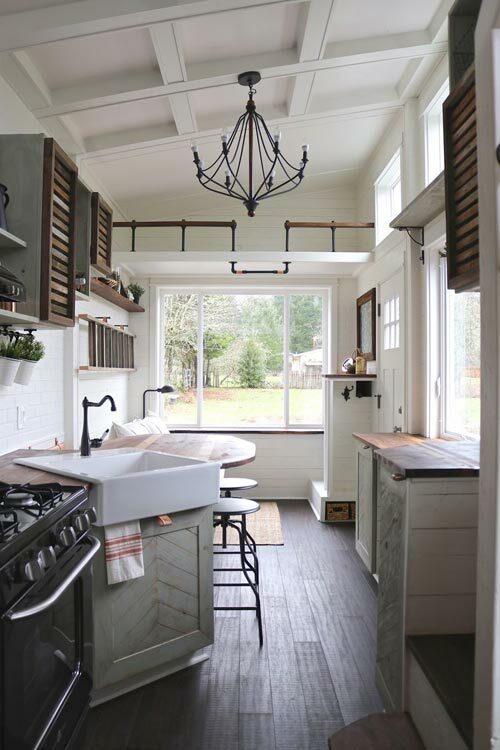 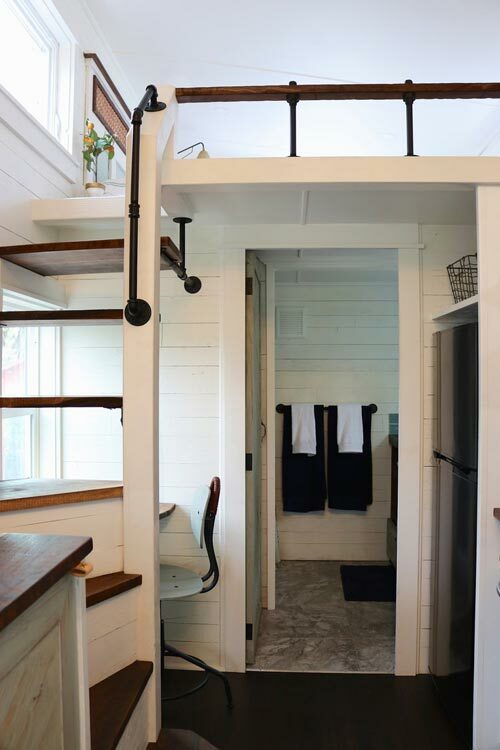 The main bedroom loft is 70-square-feet and the storage loft is 24-square-feet. 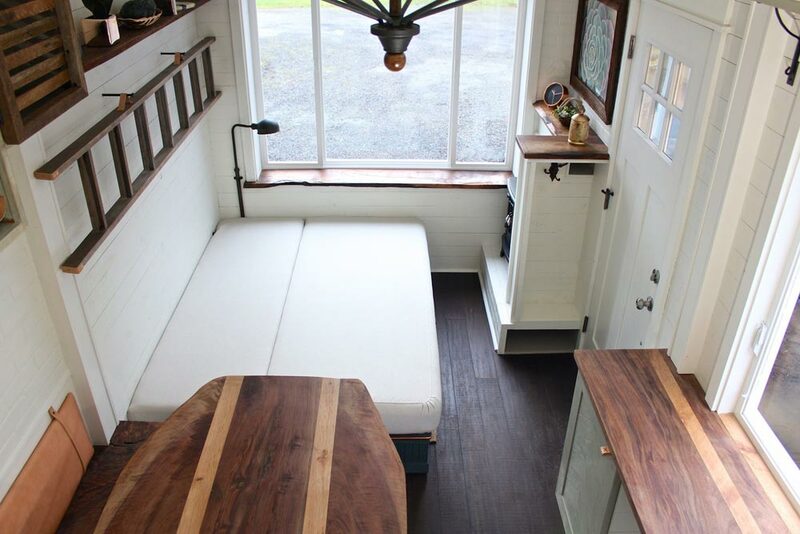 A queen size sofa sleeper provides extra bedding for guests and has built-in storage. 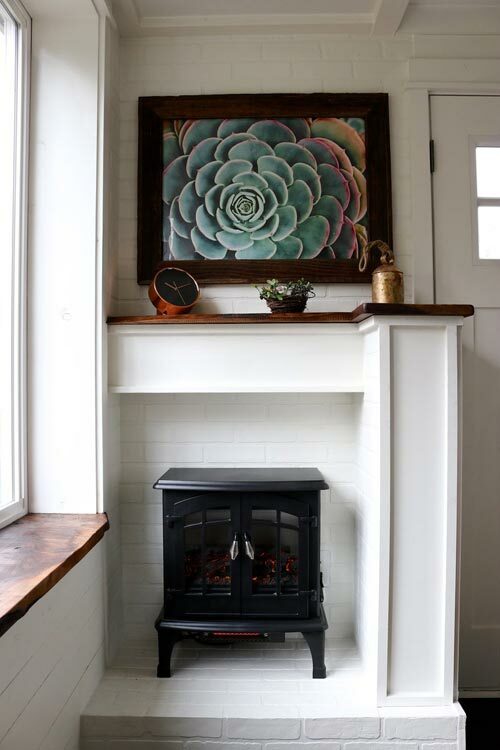 An electric fireplace and wall heater keep the Tiny Getaway warm and cozy during the cold, rainy winters. 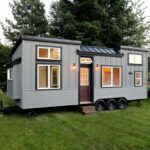 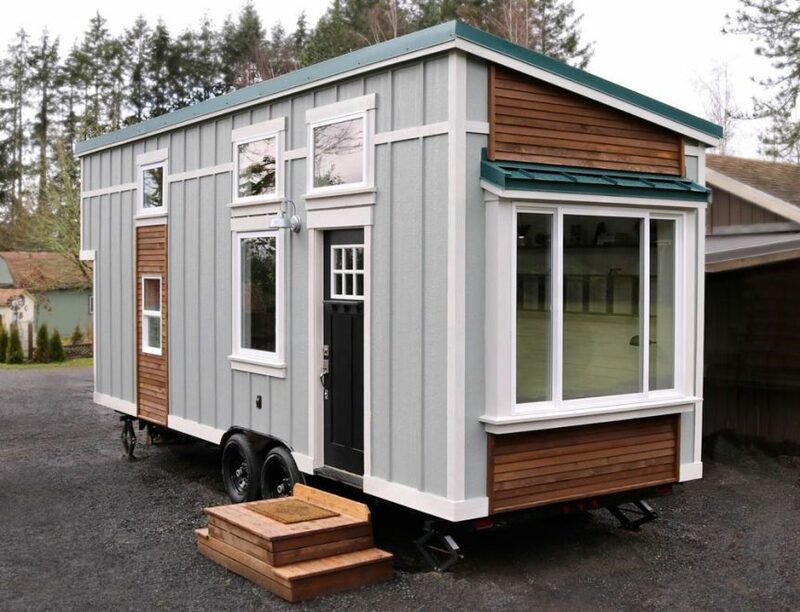 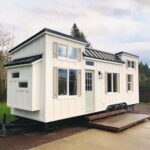 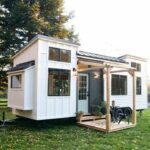 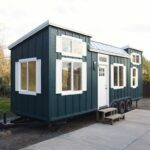 The Tiny Getaway is priced at $75,000 and located in Vancouver, Washington.